A Plain City man was sentenced to 18 months in prison after pleading no contest to a charge of aggravated vehicular assault related to an injury crash in 2016. Matteo Joseph Clark, 24, of Plain City, appeared in Delaware County Common Pleas Court Thursday afternoon to be sentenced for two counts of aggravated vehicular assault, third-degree felonies, and one count of operating vehicle under influence of alcohol or drugs, a first-degree misdemeanor. Prosecutors said that on Nov. 2, 2016, Clark was traveling south on Sawmill Parkway at speeds exceeding 60 mph when he rear-ended the vehicle in front of him. Prosecutors said the vehicle Clark struck careened into oncoming traffic and struck another vehicle. The occupants of the other vehicles, Ashlan Masterson and Jovany Chavez, were both injured in the crash. Assistant Delaware County Prosecutor Mark Sleeper said Monday that Clark later submitted to a urine test that showed his blood alcohol level of 0.177, more than twice Ohio’s legal limit of .08. Prosecutors reported that Masterson suffered serious injuries and said Chavez suffered life-threatening injuries in the crash. Chavez’s wife, Brenda Chavez, gave a statement on behalf of her husband and said the crash has left him without the ability to speak. Brenda Chavez said that at the time of the crash Jovany Chavez was very active and lively. She said that he just recently gained the ability to breathe on his own and cannot be by himself. Sleeper added that Clark has actively attempted to blame Jovany Chavez for the crash. Clark’s defense attorney, Shawn Dominy, disputed some of the details presented by prosecutors. Dominy said that Clark disagreed with the crash diagram drawn by Ohio State Highway Patrol troopers and said that urine alcohol tests do not correlate to blood alcohol level. “One incident does not reflect my character,” Clark said. 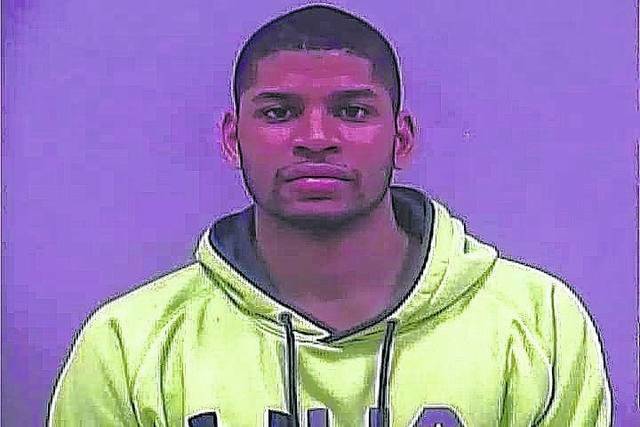 After hearing from both parties, Krueger sentenced Clark to 18 months in prison for both of the aggravated vehicular assault charges, but specified that they would be served concurrently. Krueger then sentenced Clark to two years of community control for the OVI charge and credited Clark six days that he spent in the Delaware County Jail when he was indicted in February of this year. Krueger also ordered that Clark’s license be suspended for three years and ordered Clark to pay a $600 fine and perform 100 hours of community service. However, Krueger suspended the sentence because Clark is currently appealing earlier decisions in the case with the Fifth District Court of Appeals. Clark was out on bond Tuesday.